Throughout his legal career, Lee has divided his time between teaching, practice and theory. As a committed political person, he has attempted to blur the boundaries between progressive activist, teacher, scholar, and lawyer. In 1971, as a clinical teacher and a Reginald Heber Smith Fellow at the Northwestern University Legal Assistance Project in Chicago, he represented tenants, alternative institutions, prisoners, gangs, community groups, and members of the Black Panther Party. Upon moving to Boston in 1972, Lee became a staff attorney at Project Place Legal Services, where he represented poor people as well as advising progressive community organizations, with particular concentration in the areas of mental health, housing law, and patients' rights. While at Project Place, he published his book, Communes, Law and Common Sense, in 1974. In the mid-1970's, Lee was the Regional Vice President of the National Lawyers Guild and was the Chairperson of the Massachusetts Chapter for two terms. In 1977, he was a member of the first delegation of Western lawyers who were invited to study the Chinese legal system. He subsequently wrote and lectured extensively about socialist and legal theory. Lee was selected by the NLG, Massachusetts Chapter, as its "Lawyer of the Year" in 1998. Since 1975, Lee has practiced law as part of a community law office in Central Square, Cambridge, representing tenants, workers, community and political groups. He has worked with his current law partner, Jeff Feuer, who shares his political outlook, since 1995. Lee's current clients reflect the diversity of the progressive movement in the greater Boston area - The Foundation for Civic Leadership, Resist, Better Future Action, Jobs with Justice, Foundation for the Study of Therapeutic Encounter, and Defense Against Thought Control. Lee's current business clients include Inspired Vision, LLC., Prisma and The Occupational Rehabilitation Group. Lee's legal work has also involved privacy and discrimination claims on behalf of members of Local 26 of the Hotel and Restaurant Workers Union and other employees. As lead counsel, Lee won a large settlement for the invasion of the privacy of male hotel workers at the Boston Sheraton Hotel who were secretly videotaped in their locker room by their employer. Lee also represented the Everett Cafeteria workers in protracted litigation over unequal pay issues, after which he drafted the recent amendment to the Massachusetts Pay Equity Law which was signed into law in August of 2016. Lee has also been active as a lawyer for persons engaged in acts of civil resistance pertaining to issues of disarmament, peace and justice, and he has successfully incorporated international law defenses in many of those cases. His civil disobedience clients have included members of the Ploughshares religious movement, the Pledge of Resistance, anti-CIA, anti-nuclear, anti-apartheid protestors, occupy Boston, members of the Black Lives Matter movement, as well members of City Life/Vida Urbana who engage in blockades of foreclosed properties. Lee has shared his enthusiasm for and commitment to law and political activism with many students in varied settings. 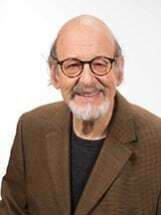 He was the Director of the Legal Studies program at the Goddard-Cambridge Graduate School in the mid and late 1970's, where he taught community activists how to conjoin an awareness of legal tactics into their political goals. He has also taught legal theory at the University of Massachusetts-Amherst and jurisprudence at Northeastern University School of Law, and completed advanced legal studies at Harvard, obtaining an LL.M. in 1980. Since 1979, Lee has been a clinical instructor at the Harvard Law School Legal Aid Bureau, assisting second and third year law students in their representation poor people in wage and hour, benefits, housing, and family law cases. Lee also works with student anti-foreclosure activists as part of the City Life/Vida Urbana "No One Leaves" project. Lee drafted legislation to protect tenants of foreclosed properties which was enacted in 2012. Throughout his tenure at Harvard Law School, Lee has also been on the faculty of the Law School's Trial Advocacy Workshop. The Cambridge MultiCultural Arts Center Inc.